Rob Davis having fun as part of his role. Mind your ‘p’s and ‘q’s… It’s a phrase from the days of movable type where words were set using individual metal letters placed into frames in reverse – hence the potential for confusion with those particular letters. Things are rather different now. Gone are legions of leather-aproned typesetters with eyeglasses and boxes of type. Producing a magazine instead requires a legion of sleek iMacs capable of meeting an editor’s whim at the click of a mouse to increasingly tighter deadlines. Manually developing photographs is another anachronism, replaced by digital cameras which capture incredible detail in images and allow the almost instant download of pictures. Newspaper and magazine pages are created in full colour throughout and the industry has seen the emergence of the internet and latterly of social media. 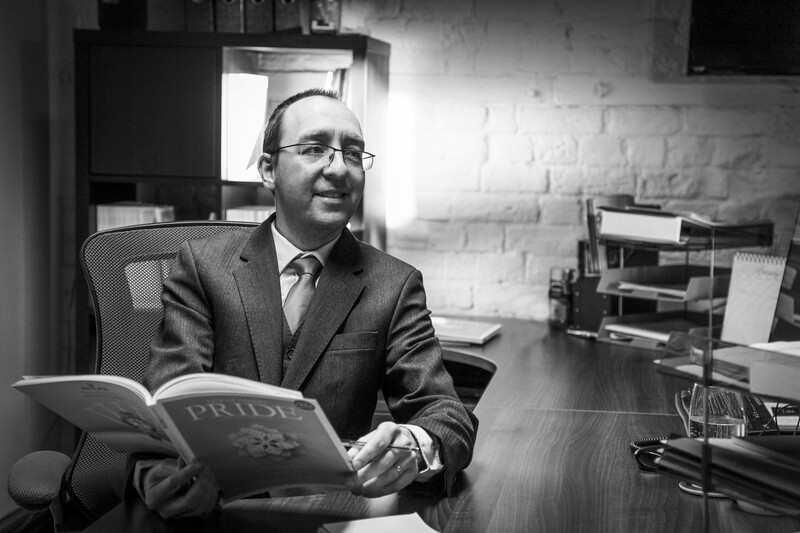 Print may have changed dramatically but Rob Davis, the Executive Editor of Pride Magazines, says it’s still the most trusted and established branch of the media, from national to local level. 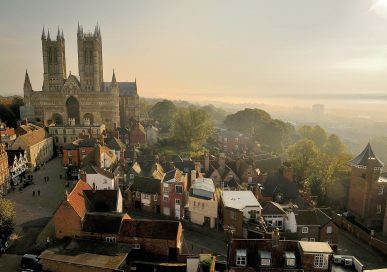 As Lincolnshire Pride publishes its 200th edition Rob – as one of the county’s most long-serving editors working for the same publisher – reflects on the future of the industry. In a world more rich in media than ever, is there still a place for print? Oh absolutely. The advent of the internet saw many declaring print redundant. For breaking news and developing stories the immediacy of the internet is valuable, but for analysis and less time-sensitive stories, print media is undoubtedly still superior, whilst lifestyle content is best represented in magazines where everything from typography and design to photographic styling – and of course, the copy itself – affords greater creativity for the author and a better experience for the reader. We hear so much of fake news, social media backlash and search engine optimisation that the internet industry – and it is just an industry – is about who can shout loudest or has the most to spend to climb the search rankings, rather than which individual or company is most trustworthy. Electronic media is rich in capability, less so in validity. Hopefully that will change and if so then perhaps the internet’s technology will dominate or at least integrate itself within mainstream media, but until that happens there’s something vital missing from new media – trust. You also spoke on the radio recently about trust? Absolutely. In a media environment where influencers and bloggers are prolific and where social media posts are fast and easy, print has more authority and is more trusted as an unbiased media. For anyone marketing a business, print is an essential element of a multi-channel campaign, especially if the product or service offered needs to be presented visually. Other channels like social media are useful, but in my opinion still don’t have the public’s trust. How did your career in print begin? As a college student I worked as a typesetter for our publisher’s father, but with a move away from paste-up – literally sticking together and photographing onto printing plates whole pages of newspapers and magazines – the industry was ailing. New technology such as desktop publishing packages made publishing less labour intensive and gradually many publications began to take their contracts in house. I then had a spell in the North East at the University of Sunderland. It remains one of the best universities in the country for media. It was also the place that I met and fell in love with my wife Anna, who moved down to the county. We made our home in Sleaford, conveniently close to the Pride Magazines office. Meanwhile our publisher, Julian Wilkinson, recognised the changes in the industry. Smaller publishing houses that concentrated on building up their own portfolio of publications began to fare much better than typesetting agencies or publishing giants. His aim was to concentrate on a portfolio of county magazines – which grew to include Rutland and Stamford Pride – and they would reflect the best qualities that the areas have to offer and deliver a better-quality product for readers than those publications that existed at the time. Trusting his ability to deliver on his aim I jumped at the chance to work with him and I’ve been with him ever since. He and the family – Zoie our Sales Director; Tilly their daughter and a fellow Editor, and the rest of the family are my great friends as well as being lovely people to work alongside. So, a partnership that remains strong today? Absolutely. And a working relationship that really does work well. I’m incredibly lucky that my publisher affords myself and my team complete creative freedom. We can determine our own features; write our own copy; take our own photographs; design our own pages and generally see a feature through from start to finish. I’m absolutely appalling at dealing with numbers and spreadsheets. I couldn’t run a business to save my life. 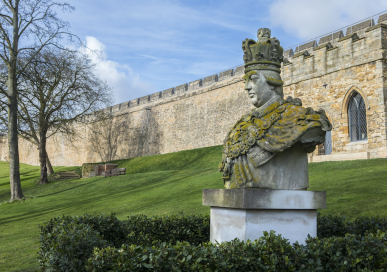 Julian excels in this area and also loves to be involved with the ideas, design and the production of Lincolnshire Pride. Julian still insists in signing off the pages, which can be quite daunting sometimes as he is a stickler for detail, but it’s that beady eye which ensures we can produce a portfolio of publications that are enjoyable for our readers, that are of great benefit to our advertisers and that form the basis of a really strong, successful business. Mandy Bray heads up our customer care team. She’s another important team member who has been at my side for over a decade now and is simply the glue that holds the magazine together. She makes a huge contribution to gathering in advertising material, to co-ordinating proofs and amendments and generally helping the magazines run smoothly. I jokingly refer to her as my ‘work-wife,’ but it’s a description that’s grounded in reality more than humour. She’s a wonderful colleague and a great asset for the team. Is the industry still fast-paced? Oh yes! There’s a really buzz to any publishing operation. We have a transitional week tying up the loose ends of a previous edition, followed by production meetings. Next we create our flatplans – a map of the next edition indicating where features and advertising will go. Then, our teams all become very busy and we pull each magazine together… quite a task, but it’s great to see each edition come to life. We’re very lucky to have a publisher who invests in the latest equipment – our Canon photography equipment is top of the range, we’ve blisteringly fast state-of-the-art Apple computers… we’ve even purchased our own drone. In addition, we enjoy a beautiful and calming working environment in converted barns at East Heckington (halfway between Boston and Sleaford). The barns, with their leafy surroundings, recently enjoyed a six-figure refurbishment, so it’s a joy to create our magazines here. They’re controversial devices right now but the creative potential in using them is impressive. We’ve had to invest not just in the aircraft itself but the training, insurance and in a Civil Aviation Permission for Commercial Operations certificate. It’s about pushing the boundaries of the product. Julian has always wanted to ensure our products stand out. We like to evoke all of the senses, from what a product looks and feels like – our bond paper, for example – or the scent of it when it comes back from the printers. None of those things apply to online media but they’re what characterise the sheer pleasure of a printed magazine. That’s why we create the magazine in a bespoke size rather than conventional A4 and why we why we publish eye-catching illustrations on our covers. 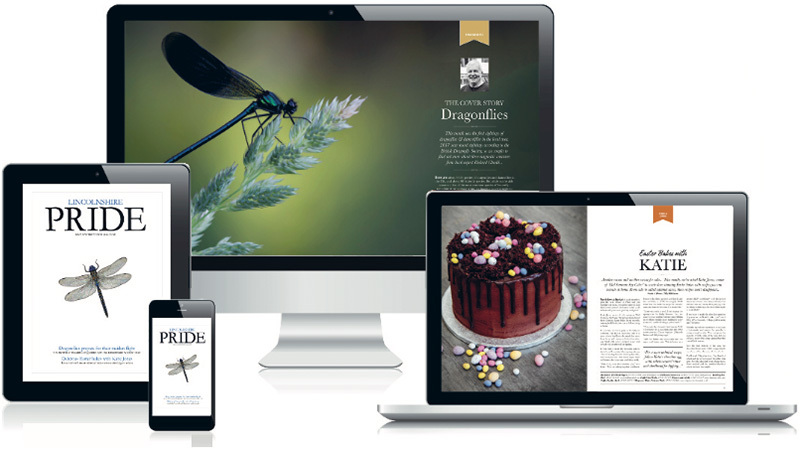 The other reason is the fact that magazine publishing is changing and sadly at some point in the future, magazines may appear only on devices like iPads, incorporating video clips and sound. 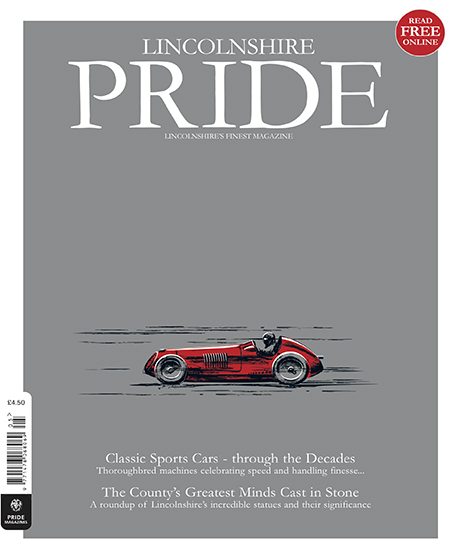 Lincolnshire Pride is read online by thousands of people each month, as well as in print. It’s free to read all of our magazines online as we want as much ‘reach’ as possible for our clients (visit www.lincolnshirepride.co.uk). It’s likely in the future that we’ll be given the ability to trade pictures on a page for frames of video and audio clips to blend the format of a magazine with the ability to introduce different media. Editors of the past had a pen and paper… that was it. Nowadays, we have a computer and a camera to take static images. In the future, we’ll have video cameras, sound recording devices, drones and 3D graphics to really bring a magazine’s content to life. At Pride Magazines we’re already aware of this, we’re early adopters of technology and we’re ready for whatever revolution occurs. Yes. The technology is there. The missing link is just a standardised means of distributing and consuming electronic titles. The Spotify app has become the ubiquitous way of streaming music; one subscription, unlimited listening and without the need to download or ‘own’ material. We anticipate that the online newsstand we already use, ‘Readly,’ will fill that gap and serve as a bridge between publishers and readers. The service is available on the App store now – just download it and search for Lincolnshire Pride. Our publisher has always had the foresight to look into the distance as well as looking at what’s happening in our industry at the moment. Around five years ago we transitioned to a predominantly direct mail circulation whereby homes in the top three council tax bands receive the magazine for free via Royal Mail. In doing so we can guarantee both a wealthy and local audience and ensure they’re commensurate with the products and services our advertisers offer, which is why they enjoy a better response from their advertising with us than with other magazine or media in the area. Meanwhile, the retail sales or bulk distribution we achieve on top of our main distribution is a bonus. It was a very smart move and not only gives us a unique distribution but also – because it isn’t necessary to achieve ‘newsstand saleability’ from our covers – allows us to be free with the look of our magazine, notably in its quirky off-the-wall cover artwork. That adds to our uniqueness and really makes us stand out. Easy. People. You can train someone to operate a camera or to write an article, but without an interest in people those skills are useless. As a team we’re lucky to meet fascinating people and everyone has a story to tell. What about away from work? Honestly my job is also my hobby. I adore the computer, the software, the camera and latterly I’ve enjoyed getting to grips with our drone. I take shamefully few photographs of my seven-year-old son George and of my wife Anna. Mercifully though, there are few photos of me since I’m usually behind the camera, which suits me just fine. What are your standout memories of 200 editions? We used to create a feature that we nicknamed Challenge Rob. It started off as something light-hearted but actually yielded some unusual features. Challenges included spending a weekend training with the SAS, swimming with sharks, painting the top of the Humber Bridge and being chased by police dogs as part of a training exercise in Lincoln. In addition, I’ve flown aeroplanes and helicopters – conquering a long-standing fear of heights – I’ve driven a rally car around Cadwell Park and helped to nurse a slippery seal back to health at Skegness’s Natureland. Great fun! And which are your favourite and least favourite features to write? Whilst I don’t fancy myself as the next Jeremy Clarkson, I do enjoy writing our motoring features. Most of all though I enjoy creating our dining out features. Food is the most technically challenging subject to photograph and I’m happy with the way we style and shoot our featured restaurants’ dishes. I remember in the early days, one chef told us we’d soon run out of restaurants to feature in the magazine. 200 editions later we’re still spoilt for choice and still produce great looking restaurant features. The feedback I receive is that our features are unrivalled and that they’re of enormous benefit to those who advertise their restaurants with us too, which adds an extra layer of satisfaction for me, because as well as producing good editorial we’re also supporting local businesses. Who have you managed to interview and who was your favourite? Former PM John Major was the nicest chap I’ve interviewed; a real gentleman. I’ve met my TV crush, Amanda Mealing – Casualty’s Connie Beauchamp – and a few pop stars too. But fame doesn’t matter as much as an interesting story. From local Buddhist nuns and Grimsby trawlermen, to exotic animal keepers and Red Arrow pilots… never a dull day and hopefully never a dull edition! Any features you’re less keen to write? No, I’m happy to turn my hand to any subject in the magazine. One of the most curious facets of producing a county magazine is the wide variety of subjects that such a magazine covers. I find myself writing homes and gardens editorials, food and restaurant-based features, then fashion, wedding, cosmetics and motoring features. Not to mention the one-off features. The breadth of topics overall is vast, but that’s part of the fun. What does the future hold for the magazine and for the company?